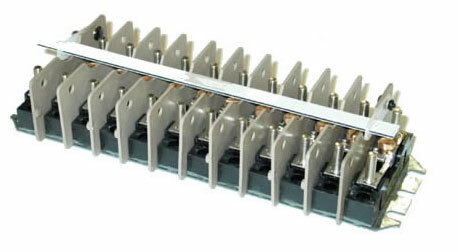 Featuring a unique sliding link disconnect, STATES Type NT Terminal Blocks function as inexpensive switches to simplify system checkout. Easily and quickly operated, the sliding link provides a means of opening the circuit without removing any wiring. Utilizing unit-pole construction, these terminal blocks are available with up to 73 poles on a single base. Recognized by UL and cUL. 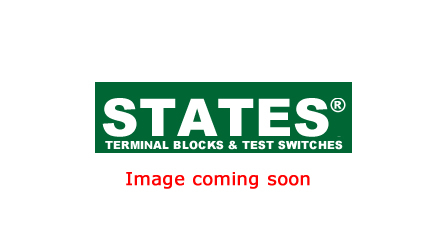 Featuring a unique sliding link disconnect, STATES� Type ZWM Terminal Blocks function as inexpensive switches to simplify system checkout. Easily and quickly operated, the sliding link provides a means of opening the circuit without removing any wiring. 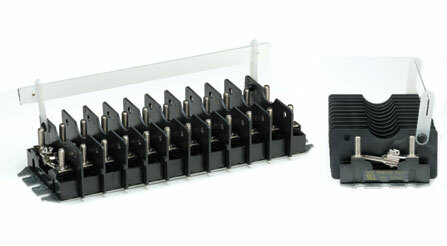 Utilizing unit-pole construction, these terminal blocks are available with up to 73 poles on a single base. Recognized by UL and cUL.